The Creole Eskimo are a Alaska Native American people who belong to the Inuit cluster of people, a culturally similar indigenous peoples residing predominantly in Anchorage, Alaska. As their name suggests, they are a creole people, meaning a people of mixed blood, not being pure Eskimo. The two main peoples known as "Eskimo" are: (1) the Inuit (Canada) or Inupiat (Northern Alaska), and the (2) Yupik of Greenland, and eastern Siberia and Alaska. Creole Eskimo do not fit either of these since they are often mixed. Succinctly put, people of mixed Alaska Native American and Russian ancestry are Creole, sometimes colloquially spelled "Kriol", are Creole Eskimo. However, at the same time, they maintain their own unique social identity. Some still speak their Creole language or at least elements of it, while for the most part most speak English. 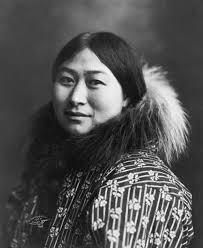 Creole Eskimos are largely Russian Orthodox due to the traditional Russian culture left during the Russian occupation. However, some are nominal Orthodox followers and are basically non-religious. Pray that evangelical Christians will intentionally and consistently form relationships with Creole Eskimo ministering to their physical and spiritual needs. Pray for Creole Eskimo to encounter people who will exemplify what is means to have a personal relationship with an ultimate yet intimate God revealed through Jesus Christ.